Velma Gratch is excited to start first grade, but when she does she finds herself overshadowed by her older sisters! While searching for a way to stand out, Velma discovers she has a passion for butterflies! When one lands on her finger, she’s in heaven! But what is she to do when it doesn’t fly away? 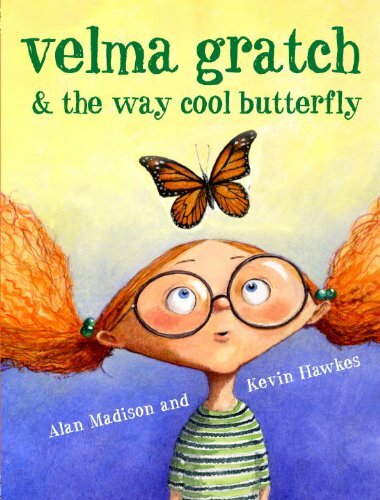 A charming story of a girl, a butterfly, and Velma’s metamorphosis into something unique and special.